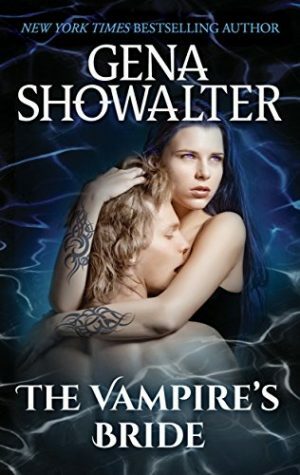 Amazon * Barnes and Noble * Kindle * Indie Bound * BAM * Kobo * Nook * Books on Board * Kobo * Target * Indigo * Book Depository w/worldwide shipping * Audible * HQ * Walmart * iBooks * iTunes Before The Lords of the Underworld, there was Gena Showalter’s Atlantis series. Rediscover this mythical world of immortals, magic and dark seduction… Searching for her missing brother, Grace Carlyle never dreamed she would discover a secret world populated by mythological monsters—or find herself facing a sword-wielding being whose looks put mortal men to shame. But there he was, Darius en Kragin, one of a race of shape-shifting warriors bound to guard the gates of Atlantis, and kill all travelers who strayed within its borders. Now Grace’s life was in his hands, and Darius had to choose between his centuries-old vow and the woman who had slipped beneath his defenses and stolen the heart of Atlantis’s fiercest dragon.